Hey Rahul! Great writing! I’m impressed. You obviously have a knack for it. I like how you connect with your readers. 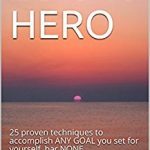 This is an amazing book on fitness that has the right combination of intensity and intelligence. These aren’t soul crushing workouts or weight training, but they certainly aren’t a walk in the park either. The word that could best describe these workouts is SMART. 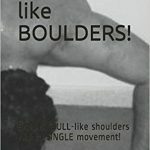 It helps you play with your bodyweight and get yourself super fit. I first was introduced to Rahul through his fitness blog. The standout for me was, and still is, his writing.Rahul articulates himself clearly, and more importantly, he does it with a finesse that draws you in. 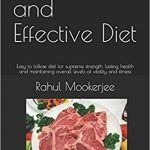 Rahul has a great sprirt for fitness which is evdienced through his own personal commitment to fitness and through his fitness books and blog posts. He writes clearly and has the wins on the board in terms of his own fitness and his clients. If you value your fitness and want to improve, try out Rahul’s fitness techniques. I first met Rahul Mookerjee in 2004, when he was working full time for a trading company in Dongguan. We worked together on an online community (tailored towards expats in Dongguan), and it was during my partnership with him on that project that I realized just how good he was in terms of coding and database work (specifically, PHP and MYSQL). In addition to that, Rahul is a highly effective marketer and sales person – I partnered with him on another website down the road, and he was instrumental in bringing in one of the biggest advertisers we had on that site (this can be verified independently). It was then that I realized his penchant for entrepreneurship, and his desire to “git her done” despite facing the usual obstacles any start up starved of cash usually encounters. 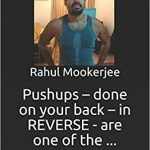 Rahul’s communication and writing skills are nothing short of phenomenal – and a quick visit to his blog at http://www.rahulmookerjee.com/index.php/blog (one amongst many) is all that is required to verify this.